Halloween is a fun time of the year and a great opportunity to show your creativity while developing connections with others. Feel free to adapt these activities to any other celebration, festival or event that is held in your country, state or town. It doesn’t have to be Halloween. Events like Halloween and Christmas are ideal for dressing up your blog. Add a Halloween picture to your header or background. You’ll find lots of great Halloween images that are free to use on Pixabay. For help, refer to uploading a custom header and uploading a custom background. Add some fun Halloween Widgets. You’ll find a list of cool Halloween widgets on Homeschool Towers Spice up your blog for Halloween post and lots of other ideas on how to make over your blog for Halloween! The instructions on how to add a text widget show how to add a widget using embed code. Change to a Halloween Style theme. The theme Monster on Edublogs was originally designed for Halloween. Once you’ve dressed up your blog write a post explaining where you found all the headers, images, widgets and tell your readers why you choose each one. Activity 2: Write some poetry or spooky story about Halloween. Write a poem or a spooky story about Halloween and remember to include some images to show what you learnt from last week’s challenge on using images. Activity 3: Write a post about how you celebrate Halloween or the History of Halloween. Halloween is celebrated in lots of different ways around the World. Read If Only Best Birds Sang ‘Halloween traditions with photographs‘ post to learn how they celebrate Halloween in Ireland. Now write a post to tell us how you celebrate Halloween where you live or write a post on the History of Halloween. Activity 4: Show off your Halloween creativity using some different tools such as powtoon, thinglink, padlet, glogster, soundcloud, poll daddy and embed them into a post. There are many cool interactive tools that you can embed into post that create opportunities to grab attention and engage readers in ways that aren’t achievable using text and images. You’ll find examples of popular tools that you can embed here. Now choose one (or more of these tools) to show off your Halloween creativity and write a post that includes your embed tool. Classes – you could get students to work in groups using a different tool. Visit other blogs either class or student – choose bloggers from other countries, maybe you will start getting some dots on your clustrmap or some flags on your widget. Check out the magazine on the sidebar – are you featured in there yet? Leave a comment on a challenge blog post linking back to your post so Miss W can visit and leave you a comment. Starting this week, I will only be visiting blogs where students or classes have left the post URL in a comment with an explanation of why you chose that activity. If your teacher is moderating your posts, you will need to wait until it has been published before giving me your URL. Check out the difference between a blog URL and a post URL. There will be a special admin post this week, so please make sure you read it. It will affect mentors, students and classes. I really enjoyed this challenge because you got to meet other people around the world and get to know them. You also get more Chromebook/desktop skills from doing the challenges. Yay!!!!!! Halloween has been and it was very fun carving pumpkins and going trick or treating. I tried to visit your blog Domenick but the URL you left in your comment didn’t go anywhere. Read on… for a surprise! Remember you need to include the link to the actual post not just your blog URL. Hello, Miss M. My name is Sydney. I decorated my blog for New Years. This was really cool changing our blog. Come check it out at http://2021smm.edublogs.org. Hello Mrs. W! I finished the Week 4 Blogging Challenge. Completing activity 2 and 3 and incorporating them into one was so much fun. Although it may have took 2 weeks, it’s totally worth it. All in all, check out my blog post to see for yourself! Hello, Miss W, my name is Brianna. I have almost completed this challenge. My holiday is Halloween! Please visit my site at 2021blb.edublogs.com when it’s complete. I will leave another comment. I have completed Week 4 SBC. -Sorry it is also a bit late. My favourite part in doing this was every activity! I think this is how you do a post URL, but if it isn’t, can you please tell me how to do one? Thank you! This is my Halloween story that I would like you to look at. I hope you had a spooky Halloween. I’ve decorated my blog and put up a post about Halloween, here’s the link. Hey Miss W, my favorite challenge this week was the Halloween Poem! I got the chance to be really creative with it! Here’s a link to my Halloween Post, Enjoy! My students have completed the challenge for week 3. They have written a combination of short stories and some informational posts about Halloween. We also decorated our blog just a bit with some flying witches. I have finished this weeks task. I really enjoyed making the poem. Hello, I have posted about how I celebrate Halloween. It was indeed something fun to write and enjoyed explaining how I celebrate Halloween. Hi Miss.W! My name is Meagan! I completed the Halloween decorating challenge! I love halloween, so I loved this challenge! I loved decorating my blog for Halloween! It was super fun! I hope you come check out my blog at 2021mep.edublogs.org. Hi Miss W, this is Zane I really liked the challenges this week, my favorite one was the poem. I had lots of fun with it. Here is my URL to my blog. I have decorated my blog and done a post for Halloween. Here’s the link. Here is the link to our class site where you can access student pages. and see some great Halloween and Fall treats! If you scroll down to the bottom of the page, you should be able to find the rest of the posts. I love your Halloween post and so I did one to. I have completed week four and three. I know I am late-Sorry. Hello Mrs.W. My name is Victoria. For the upcoming night of Halloween, I have decorated my blog to match the holiday. I hope you come visit my blog at http://2021ven.edublogs.org/ and have a good Halloween! I’m proud of the Halloween work that my students did this week. I created a summary post with links to all of their work. I enjoyed writing a Halloween story because it got me to get more in to Halloween this year. For the week 4 challenge I wrote a post about what I do for Halloween, if you would like to read it the URL is down below. Hello Miss W, I have recently posted a slideshow about American Halloween in 2015 if interested check out the link above. I would like you to take a look at my blog post about something I will do over the Thanksgiving break. Hello there Mrs.W, here is a link to my Halloween celebration. I really like the decorations I put, and I hope you do, too! I was wondering if you would like to check out my Halloween blog. Hello Miss W, I am finished with this weeks blogging challenge. I’m so happy the subject was Halloween, It was really easy to write about! Hi Miss Wyatt, I have dressed my blog to look really cool. I hope you have time to see it @2021ckc.edublogs.org. Maybe you could post a comment it. I hope that you have a good day. I have completed a gif post and I think it looks really cool. Thanks for the idea! This week was so cool! I loved looking at halloween and dressing up my blog. I finished my 3 posts about Halloween for the blogging challenge. I love that this blogging challenge is helping me write again. I love to write, but really don’t feel that I am good at it. Through this challenge, and modeling writing, I hope I am helping my students. I used this week’s challenge to write a Haiku poem. I hope you enjoy it! Happy Halloween Miss W! I had so mutch fun making this. I had the chance to share my knowledge on the history of Halloween using Storybird, and I’d love for you to check it out. I decided to make a presentation about Halloween celebrated in different countries. I chose how Halloween is celebrated in Ireland and how it all began. I will be glad to know if you enjoy my Prezi presentation. Thank you! This week’s blog post was my favorite so far. Because Halloween is my favorite holiday. I really like candy! Hope you enjoy my presentation. This weeks challenge was very fun! Halloween is one of my favorite holidays. To be honest, I kinda dislike Halloween here in the USA, it’s so cold and rains most days. Anyway, here is my multi-media blog post about the History of Halloween! Howdy!!!! Happy Halloween!!! My Halloween post is certainly not one that you would want to miss!!! So you don’t miss out, here it is! G’day! I love the blog post this week! I love candy a lot! I hope you love my blog as much as I love candy!! Here is the link to my blog post. Hey, Miss W. This is 20stewkr. Halloween is right around the corner, and what I thought would be festive, would be to make a short video of my Halloween. So, here is the link below, hope you enjoy my video and post. Hello Miss W I love Halloween and this blogging challenge!!! Thanks for giving me the opportunity for this blog. Here is a link to my Halloween blog. Here is my Halloween Prezzie posted on my blog. Hi Miss W! I love Halloween but I dislike scary things. HEre is my Prezi on The History of Halloween. here is a link to my blog hope you like it Mrs.W. By the way I love the student blogging challenge. I hope you have had a happy Halloween it was so much fun researching the history of Halloween! here is my blog which has the Halloween presentation on it. Thank you! Hello Mrs. W! I have finished changing my blog “looks” for Halloween! I have s story, poem, and how my family celebrates Halloween. If you would like to check it out visit my blog! Im happy that we got to choose our own halloween presentation. I updated my blog post for Halloween, Happy blogging! I had a lot of fun with this post. Thanks for letting us post on Holloween. In Mrs. Powers, class we did a multimedia about Halloween in a different country. I love the theme! The history of Halloween is really interesting! I’m glad I got a chance to find out all of this. I have updated my blog for Halloween! Happy blogging! Here is a link to my blog… Enjoy!! I have finished the Halloween blogging challenge and really enjoyed making my own video. Come check out my Spooky Prezi! Hi Mrs. W, I have finished my history of Halloween blog. I really enjoyed it. I have finished my blog post for Halloween and you can review it here http://20lewitm.edublogs.org/2015/10/29/happy-halloween-to-all-and-to-all-be-scared/ Thank you! I have done the post. It was really fun. my name is Caitlyn and i have dressed up my blog i would love if you would look at it. We all got to choose our own way of writing about Halloween. Mr Wood choose some to be on our class blog as well, but there are links to each students blog. I have finished my Halloween post. In my post I gave a description of my costume, pumpkins and decorations. My blog has been spookified. Im working on my SBC 4 right now. Go heck out my blog! I would love to have seen your comic strip but your link was asking me to log in. Can you get embed code for the comic and put it in your blog instead? I wrote 2 posts for halloween. The first one was a scary poem and the second was my halloween traditions. My image on my poem didn’t require credit to the owner. I chose to do a poem because I enjoy writing and reading poetry and I added a scary image to go with the text. For the second post I chose my families traditions because I like to share how we enjoy halloween. We have different traditions and customs when it comes to halloween. I also dressed up my blog with some widgets and other cool things. Oh and I will post the story soon. To celebrate halloween I have added some spice to my blog and written a post about it. I have added some spice to my blog by changing the background and adding a gif. Did anyone else find this challenge fun? Do we have to put posts up on Halloween? My family don’t believe in Halloween. No you don’t have to use Halloween. If you want to do Thanksgiving or Christmas or a celebration that happens in your town or country then that is OK as well. 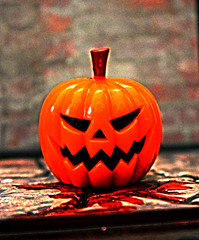 I have dressed up my blog for halloween and have posted a photo with the theme of halloween. I would love if you could look at my post here is the link http://victoriaw06.edublogs.org/2015/10/27/dark-shines-brighter-at-night/. Here is a link to my blog I hope you like how I decorated it. Im actually writing a Halloween story. Once im done with it I hope you willl read it. Go to helpern’s helpers to read the class blog. And go to destinyl4068. Hope you leave comments on my blog! I have dressed up my blog for summer and have I have written a post. I would love to visit your blog and see how you have decorated it, but you haven’t left the URL of your blog or the post you want me to comment on. I have dressed up my blog for Halloween and written a post about it. Hi Miss W I have completed the Celebrating challenge and it was a lot of fun. I did Christmas and my title is Let’s Celebrate Jesus Christmas. Visit my website to see my blogs which is @2021rlh.edublogs.org. Here is my link to my halloween post. I chose to do activity three because Halloween is one of my favourite events. I hope you enjoy reading my post.